1. 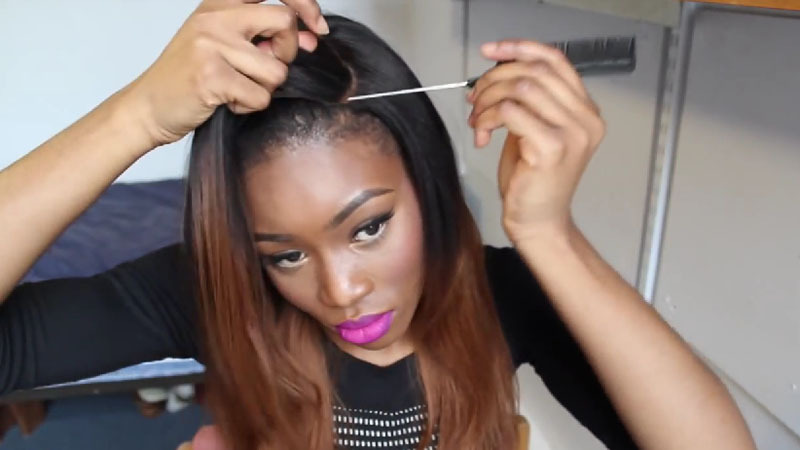 You want to start by brushing all of your hair back and making sure it is laid down flat. 2.Put your stocking cap over your head. After brushing the wig, place it on your ahead, on top of the stocking cap. 3. Spray a light mist of water on the parting area to slick it down. Afterwards, tie it down with a scarf. It is even better if you tie it with a scarf overnight. 4. 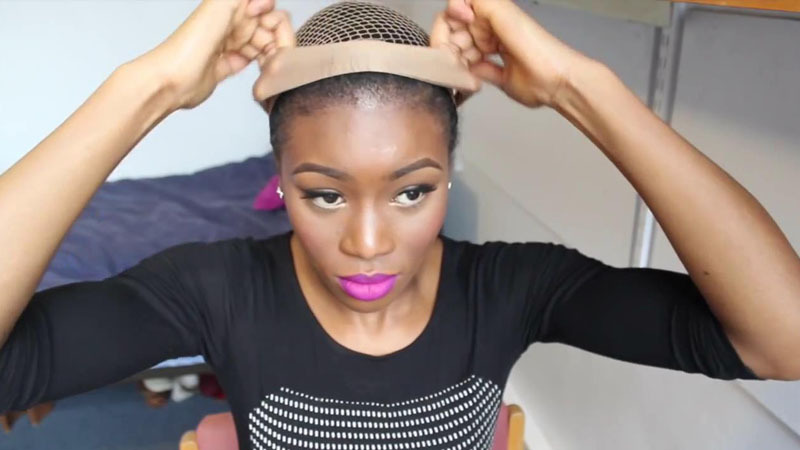 Slide the wig combs that are attached to the wig into your head to ensure a snug fit. 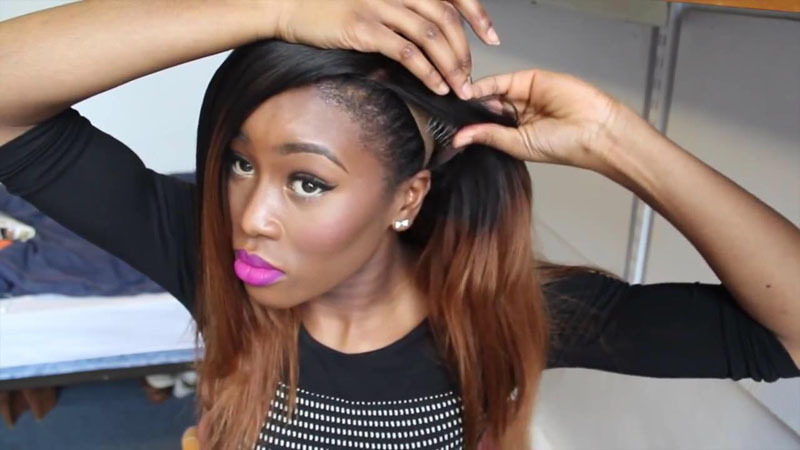 5.For a more natural appearance, bring out some of your hair around the edge to blend well with the front of the wig. 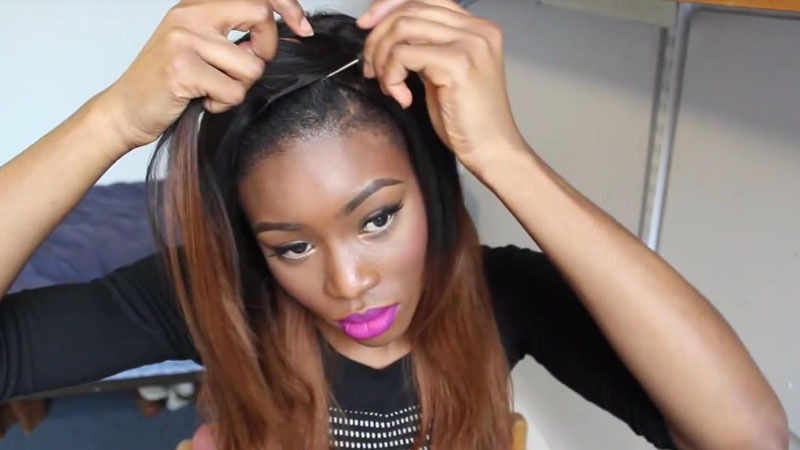 You can also create a line coming from the lace onto your real scalp to make this area look as realistic as possible. 6. 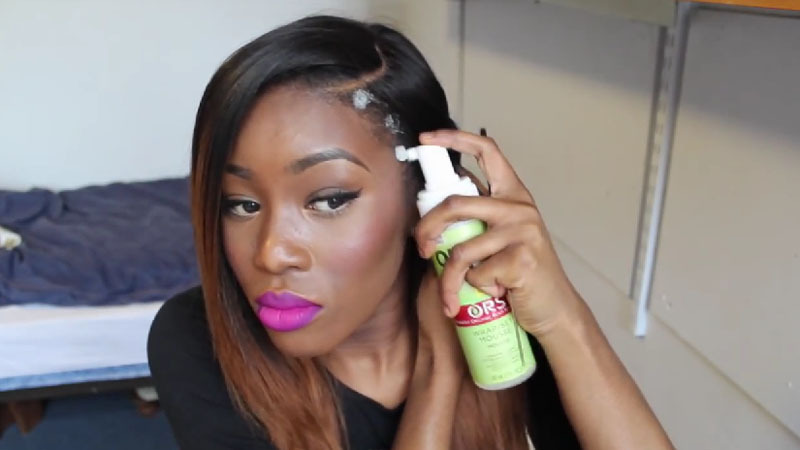 Then use concealer or powder that is the same shade of your scalp. 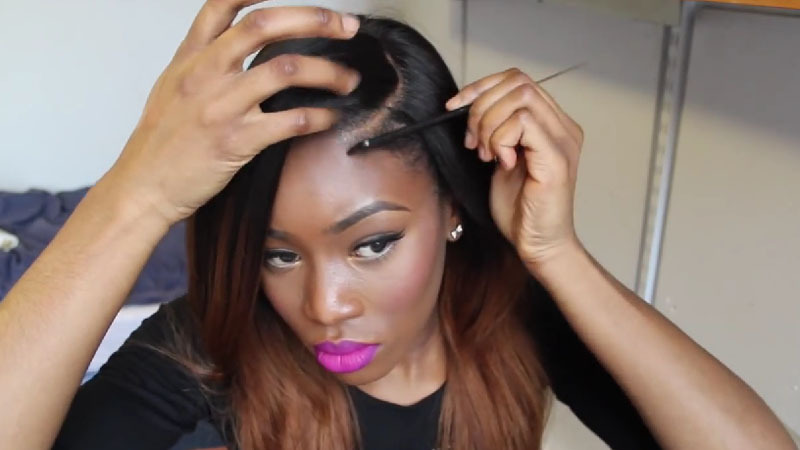 Don't focus the concealer too much on the line of the demarcation between your hair and the lace wig. 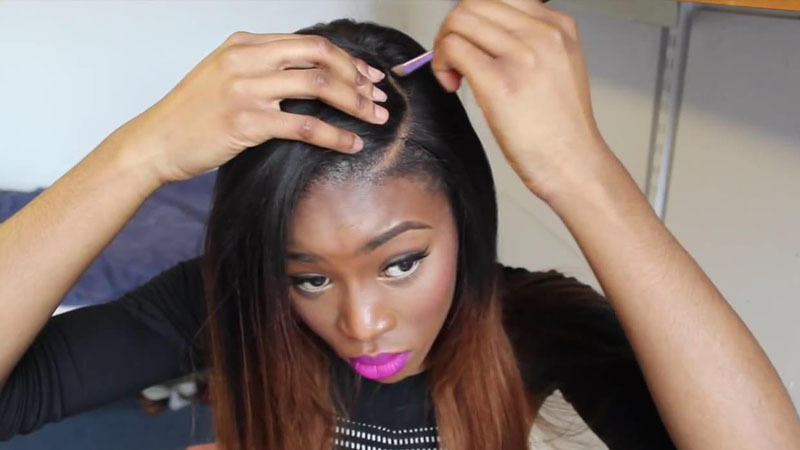 It is better to focus on the lace and your scalp, because when you are focusing too much on that line, it will obvious be too wiggy. 7. Then you want to lay the edges down with your mousse or a light gel you like to use.